Providing content on your site that search engines like: That’s the theory, anyway, but the reality is a little different. 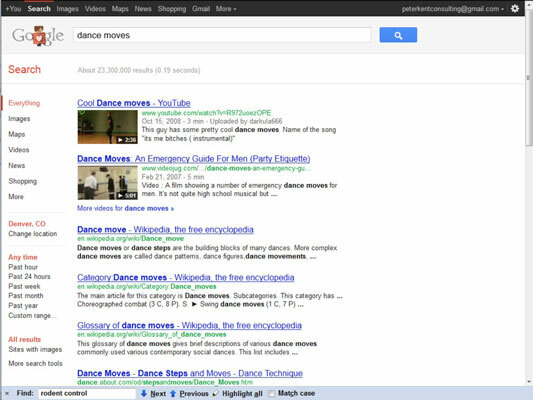 Getting listed in more search engines — the video search engines: YouTube is a hugely important search engine. So getting videos into YouTube (and other video-search sites) gets you into the video-search game. Grabbing search engine real estate: This is in some ways more important because Google likes to insert videos into its search results. The most obvious benefit to putting videos on your site, from an SEO perspective, is that it provides content that the search engines like, and you’ll often hear that as a reason given for using video on your site. The reality is a little different; videos are not particularly good search engine fodder, although you can improve that situation a bit. The proof of the pudding is in the eating, they say; when videos are embedded into the search results, they are almost always from major video sites, such as YouTube.com and Vimeo.com. If it is there, then click the button, and you see a Transcribe Audio option. Click that option, and you can play the audio with “closed caption” transcription shown at the bottom of the video. Believe it or not, this is a transcription of a promotional video from Coca Cola’s Fanta soft drink, promoting a contest to find the fourth “Fantana girl.” What, you didn’t get that? So, if you think that the search engines will listen to and transcribe your videos into something that might actually help you, think again. Not this year, anyway, or the next. YouTube doesn’t seem to be auto-transcribing videos anymore . . . can’t imagine why. Label it. Create a nicely keyworded label or short description of the video; use an <H> tag in the HTML around this label. Describe it. Include a longer description, again with good keywords. Transcribe it. Do a real transcription and post the transcribed text on the page. Services exist that can do this for you very affordably and pretty efficiently. Name it. Use keywords in the video’s filename and URL. Link to it. Create links, on your site and others, to the video page, using keywords and the term video in the link. This is very important; providing links into the video page can help a lot. Tag it. As usual, use keywords (including the word video) in your page’s <TITLE> tag and DESCRIPTION tag. Add to it. Add other keyworded content on the page, especially if the transcription is short. Submit it. You can include video content in your sitemap or create a special mRSS (media RSS) feed, providing the video title, description, a thumbnail URL, and so on. Some video experts believe that submitting both a regular sitemap and an mRSS sitemap is a good idea. You can find details about both in the Google Webmaster Help information. Use the word video throughout; remember, you’re trying to tell the search engines that this is a video. Don’t overdo it, but you can use the term video in the <H> tag, the description, the filename, links, <TITLE> tag and DESCRIPTION meta tag, and so on. You might also allow other people to embed your video into their sites; this can help create links back to the video, assuming that people actually take you up on the offer. Have you heard about Google TV? No, it wasn’t the huge success everyone thought it would be, but it’s still around. The basic idea: a television search engine. Imagine your TV set getting TV from wherever you normally get it (cable, satellite, or over the air) and connecting to the Internet. Add a search engine — Google, of course — and now you can search and find exactly the show, documentary, funny video, or whatever, and view it from wherever it may be. Now, because of this, Google is getting more serious about indexing video on the web. In particular, Google is eager to get your video-sitemap data.